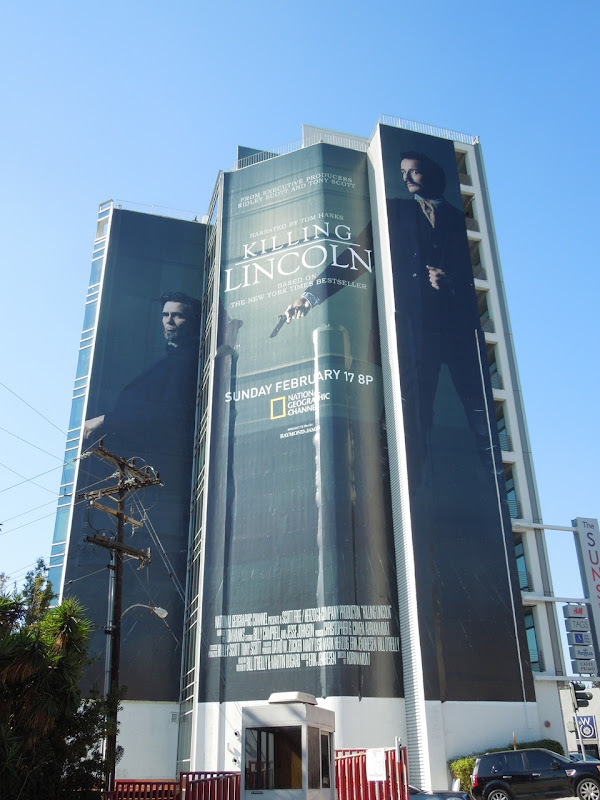 In Hollywood it's inevitable that there'll be a number of 'me-too's' in development at the same time as a blockbuster movie like Steven Spielberg's historical epic Lincoln, and let's face it, this year's run up to the Oscars is the perfect time to get some publicity if you have one of these similarly themed offerings. 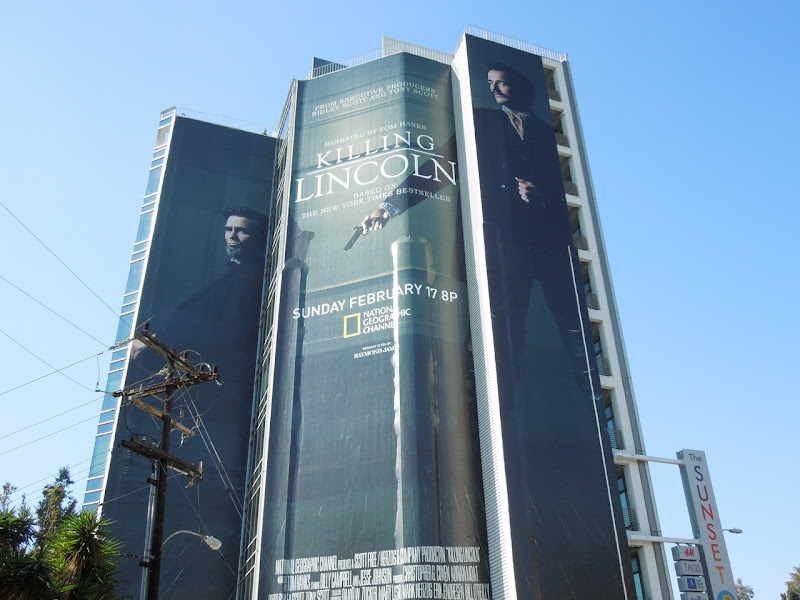 National Geographic's movie Killing Lincoln obviously has the more dramatic name and flashier giant-sized billboard and chronicles the final days of President Lincoln and his assassin, 'John Wilkes Booth', whilst being narrated by Tom Hanks. 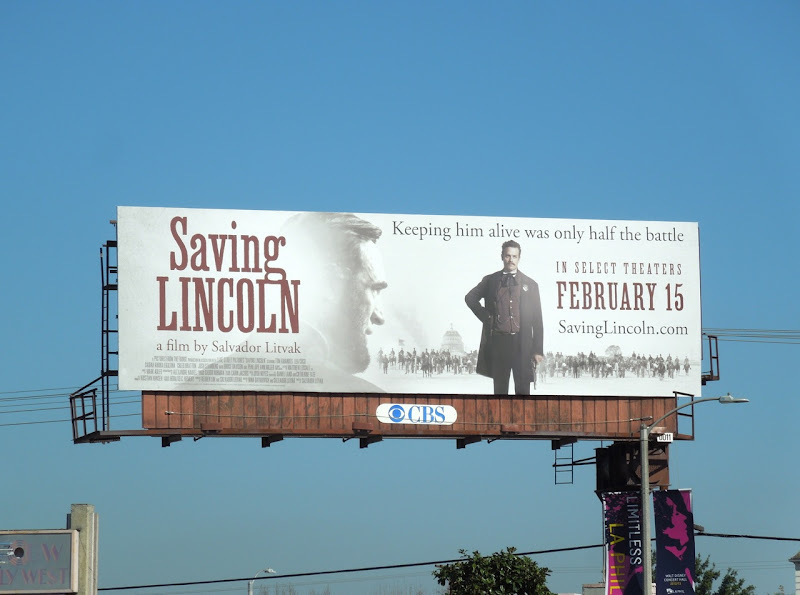 On the other hand, Salvador Litvak's Saving Lincoln focuses on Abraham Lincoln and his bodyguard, 'Ward Hill Lamon', with scenery created from authentic Civil War photographs. 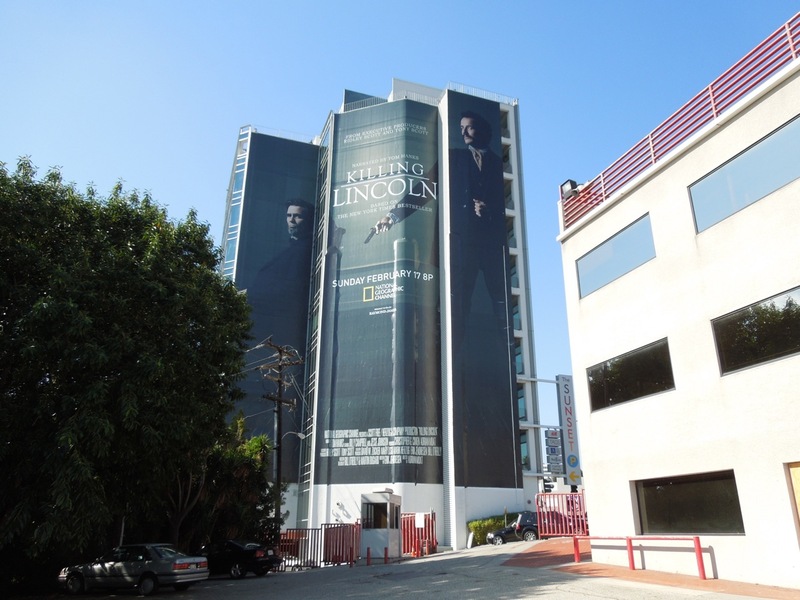 Only time will tell if Lincoln will make a killing at the 85th Academy Awards, but one thing is certain, the 16th U.S. President has never been so popular. 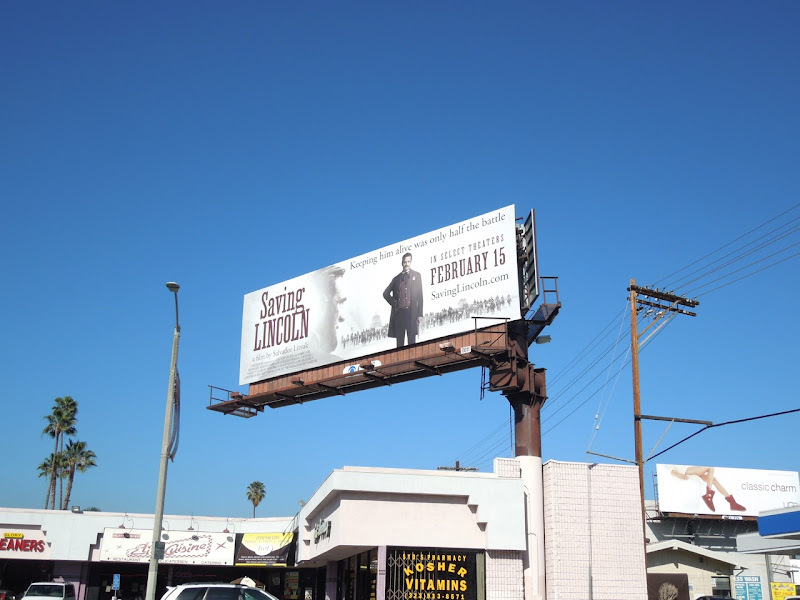 This super-sized Killing Lincoln billboard was snapped along Sunset Boulevard at Alta Loma Road on February 9, whilst the standard landscape billboard for Saving Lincoln was spotted along Beverly Boulevard at La Brea Avenue on February 4, 2013. 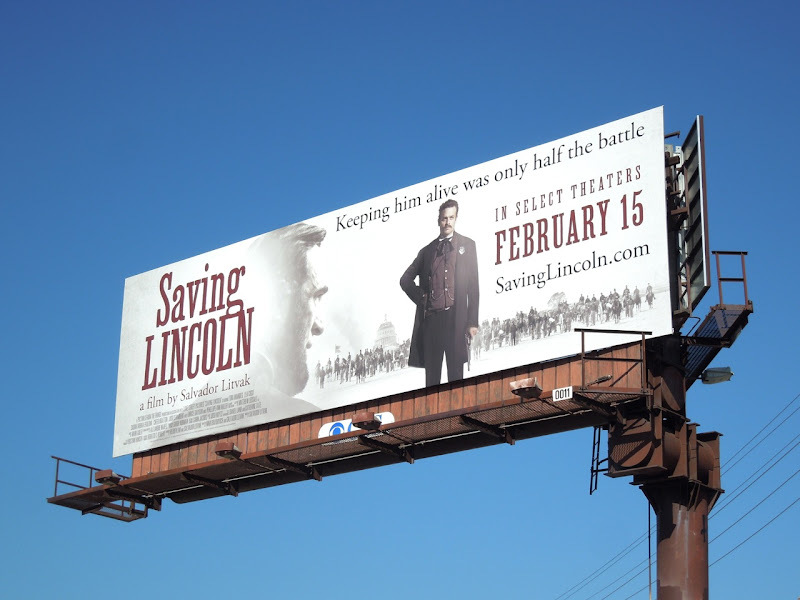 Looking forward to Saving Lincoln... how many more assassination movies do we need? Please, please, please bring Saving Lincoln to Birmingham, AL! I want SO bad to see this movie! Saving Lincoln needs to be put out in wide release!!! !